As much as we prefer not to think about it, as we age, so do our parents. The one day you wake up and realize that your parents are elderly. 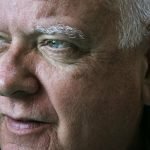 A difficult as that may be to accept on an emotional level, it is imperative to accept it because there are likely some pragmatic concerns that will eventually become an issue as a result of your parents’ aging. One of the most difficult of these issues may be the need to move a parent to nursing home care. 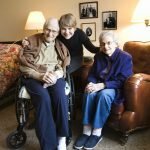 Few adult children relish having a conversation about nursing home care with a parent; however, it is a conservation that needs to take place, and the sooner the better. To help you get started, the Harrison elder law attorneys at Law Offices of Kobrick & Moccia offers some tips on how to talk to your parents about nursing home care. The old adage applies to so many things, including the need to discuss nursing home care. Although your natural inclination may be to put off talking your parents about the subject, there are several reasons why you should have the talk sooner rather than later. One of the most important reasons is the reality that waiting may mean your parent does not get the opportunity to participate meaningfully in the conservation. As your parent ages, both physical and mental deterioration are likely to occur. When you add in the risk of developing Alzheimer’s or another age-related form of dementia, waiting to discuss nursing home care could mean that your parent is past the point of being able to contribute to the discussion. Furthermore, if your parent does reach the point of legal incapacitation, he/she will no longer be able to legally execute a Power of Attorney, a Living Will, or an advanced directive nor will your parent be able to legally consent to guardianship. Consequently, you will likely end up spending considerably more time and money obtaining the legal right to make decisions for your parent and/or control your parent’s assets. Before you sit down to discuss the topic of nursing home care, take the time to do some research first. 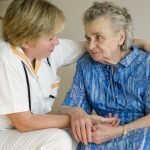 There are two important aspects of any conversation about nursing home care – cost and location. As of 2017, the average cost of a year in long-term care (LTC) nationwide was around $80,000. That same year in LTC cost, on average $144,000 in the State of New York. Have your facts and figures ready so you can impress upon your parent the need to plan ahead in case LTC is needed. It also equally important to have some locations in mind for your parent. 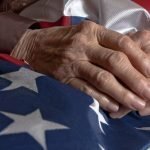 You can find a list of nursing homes in New York, along with additional LTC resources, on the New York State Department of Health website. 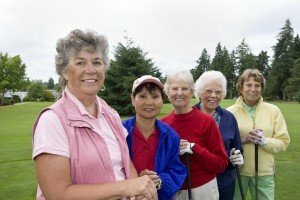 Another great resource for information on LTC facilities is the Nursing Home Compare section of Medicare.gov, the federal government’s official Medicare website. Acknowledge that you understand your parent hopes to live out his/her life at home, without the need for LTC while at the same time encouraging your parent to be pro-active. Focus on the new concepts in LTC and on the need to make decisions now in case they cannot be made later. Assisted living facilities, for example, are not what they used to be. Today, many of them are virtual playgrounds for retirees. Have some tours already scheduled so your parent can see for himself/herself. Nursing home care also offers many options that were once unavailable. Focus on your desire to place your parent in a facility where he/she will be as happy as possible. By discussing the possibility of the need for nursing home care now, everyone involved will be much happier down the road if that care is ever actually needed. For more information, please download our FREE estate planning worksheet. 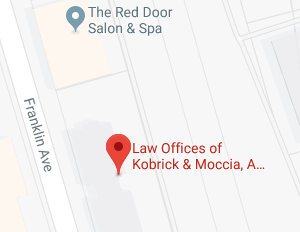 If you have questions or concerns relating to nursing home care, or other elder law issues, contact the elder law attorneys at the Law Offices of Kobrick & Moccia by calling 800-295-1917 to schedule your appointment.